Some football players try ballet to improve their game. But can it also benefit people with mobility problems? It’s a Monday afternoon at Houston Ballet’s Center for Dance downtown and a class is just getting underway in an upstairs studio. In a corner, William Marsden is playing away at the upright piano while dancers practice their balance in front of the mirrored wall. 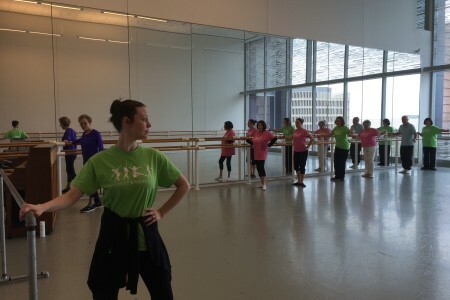 They’re all fairly new to ballet, but they also have something else in common: They’ve all been diagnosed with Parkinson’s Disease, a progressive disorder that affects the nervous system. Tremors, stiffness in limbs, and impaired balance are some of the symptoms. 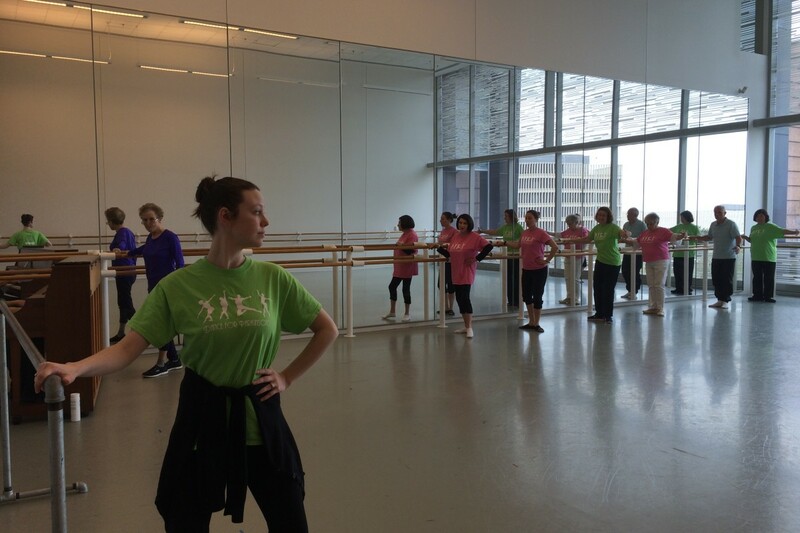 It’s all part of Houston Ballet’s Dance for Parkinson’s class, established in 2009 as a collaborative effort with the Houston Area Parkinson’s Society. 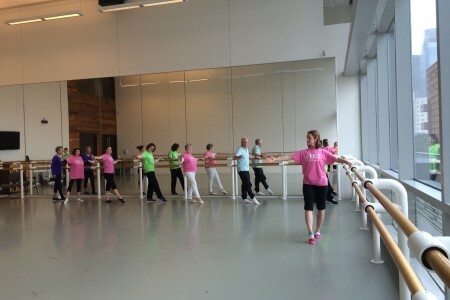 Sommers, along with Krissy Richmond and Lucinda Rohrer, lead the group every Monday for an hour-long class, which involves stretching, barre work, and choreographed routines. Patty Masanow found out about the class from a friend and started coming about six months ago. She makes the trip from Sugar Land every week because she’s starting to see improvements, such as having better balance. “The instructors are great, so I’m learning to listen and try to do what they tell me,” she laughs. It’s common knowledge that just about any kind of exercise is beneficial to Parkinson’s patients, but some say dance is one of the best. 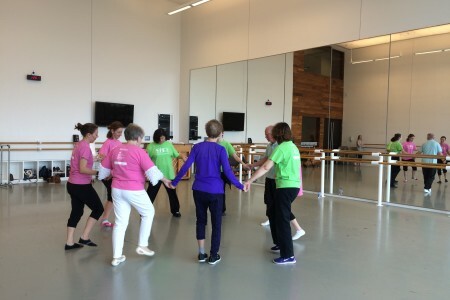 “Having a complex, multi-directional movement that is somewhat unpredictable, where you have to change direction, quickly pivot, quickly move, becomes an important part,” says Dr Stanley Fisher, co-director of Saint Luke’s Marion Bloch Neuroscience Institute in Kansas City. Fisher says there’s nothing out there yet that can slow down the progression of the disease, but treating the symptoms can definitely improve the quality of life. The class is based on the Brooklyn-based Mark Morris Dance Group’s model, formed in 2001. Program Director David Leventhal says the gains are two-fold. Those are some of the reasons Dotti Visosky has been coming since Houston’s program began about seven years ago, the same year she was diagnosed with the disease. 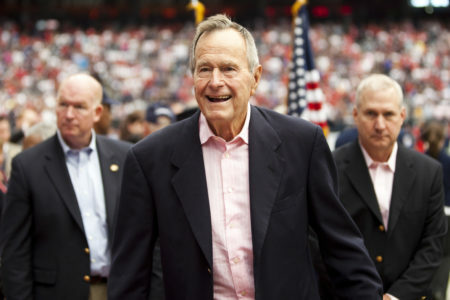 Editor’s note: David Leventhal’s name was misspelled in an earlier version of this story. We regret the error.